Bin Laden- the most wanted man for western. He was blown up in the caves of Tora Bora. He was on dialysis and dying of kidney disease. He was in the hands of Pakistani intelligence and about to be turned over to the United States. 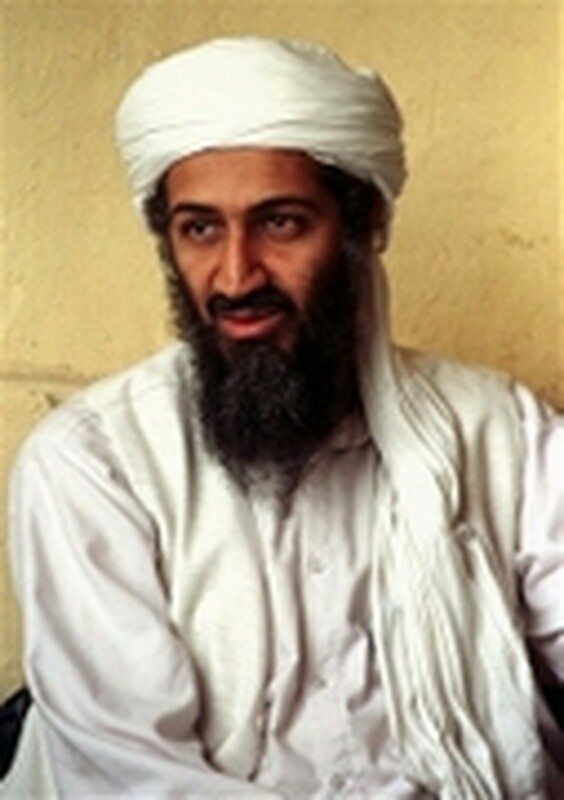 Rumors of Osama bin Laden's death or capture go back years, and they have always proved greatly exaggerated. The latest came Saturday, when a leaked French intelligence document citing a "usually reliable" source said the Saudi secret service was convinced the 52-year-old al-Qaida terror chief had died of typhoid last month in Pakistan. Officials from Riyadh to Paris to Washington rushed to insist they had nothing to substantiate the report, but not before news of it reached every corner of the globe and renewed the debate about why the world's largest dragnet has failed to get its man. "There has been a grave failure five years after 9/11 that the true leaders of the attacks are still free, and that they are still alive," said Rohan Gunaratna, head of terrorism research at Singapore's Institute of Defense and Strategic Studies. Gunaratna cited comments by bin Laden's no. 2, Ayman al-Zawahri, released on the fifth anniversary of the attacks, as evidence the French report was erroneous. "Ayman al-Zawahri issued a statement on Sept. 11 in which he specifically refers to Osama bin Laden being alive," Gunaratna says. "There is no reason for al-Zawahri to lie, since he wants to keep his credibility within the movement." A Pakistani counterterrorism official with intimate knowledge of the hunt also dismissed the French report, saying nothing was known about bin Laden's health or location. He spoke on condition of anonymity, citing the sensitivity of the matter. The denial was echoed by a purported spokesman for the Taliban, the former Afghan regime that sheltered bin Laden after the 9/11 attacks. He also asked not to be named. The French report is not the first to allude to bin Laden suffering from a life-threatening illness. For years, intelligence services took seriously assessments that bin Laden might be suffering from kidney disease, and there were even reports he was forced to lug a dialysis machine from one mountain hideout to another. But in 2003, Amer Aziz, bin Laden's former doctor in Afghanistan, shot down the reports. He told The Associated Press he gave bin Laden a complete physical in 1999, and saw him again in November 2001 while he was on the run from U.S. forces, and found no sign of illness on either occasion. "If you are on dialysis, you have a special look. I didn't see any of that," Aziz told a reporter at his office in Lahore, Pakistan following his release from U.S. custody. The latest video featuring fresh footage of bin Laden came out in 2004, just before the U.S. presidential elections. In it he appeared healthy and relaxed, particularly for a man who was believed to be hiding in the rugged mountains between Pakistan and Afghanistan, or possibly in Afghanistan itself, in the remote, forested eastern province of Nuristan. The U.S. has conducted hundreds of search-and-seizure operations in the region but has been stonewalled by an increasingly unfriendly local population. A number of audiotapes of the terror leader have come out since the 2004 video, the latest in June, and a video that featured what appears to be older footage of bin Laden was released in September. Reports that bin Laden has been nabbed were even used in a computer virus attack, when thousands of messages were posted on Internet chat sites in 2004 that began with the subject line "Osama bin Laden captured." When users clicked a link that was supposed to take them to photos, they triggered the virus.